Hosea Burton would "love" a Commonwealth title fight with Craig Richards as he cannot see how his British light-heavyweight rival can defeat him. 'Spider' Richards produced a career-best victory over Jake Ball at The O2 on Saturday, prompting talk about a potential domestic clash with Burton in the near future. After losing his British belt in 2016, Burton is determined to rejuvenate his career, and has welcomed a showdown with the south Londoner. 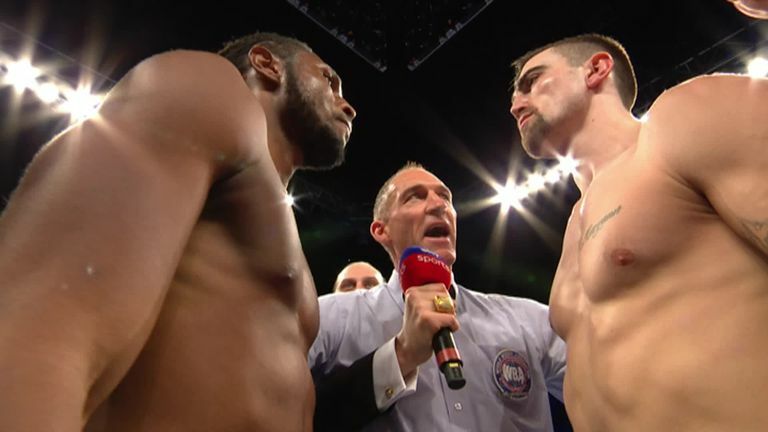 "That would be a fight that I would love to have," Burton told Sky Sports. "Any title at all, I would love to fight for, because since I lost my title, since I lost that one round in my title fight, I've been forgotten about for the last two years. "Nobody has really wanted to fight me. This is the opportunity I need. "This is no disrespect to Jake Ball, but he looked absolutely terrified in there. I think an on-form Jake Ball would have put a hell of a fight up against Richards." 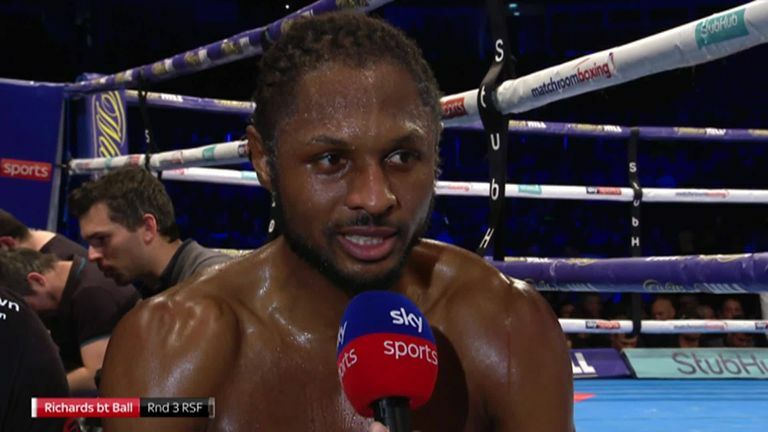 Ball was floored in every round as Richards completed a ruthless stoppage victory in the third round. But Burton questioned Ball's performance, insisting he did not see anything to dissuade him from fighting Richards. I would stop Richards. What is he going to do? Is he going to out-punch me? No, he's not. "I just don't think Jake turned up at the races that day," he said. "Boxing is a hard, lonely sport. I don't know what the reason would be. "That wasn't Jake Ball in that fight that night. I would stop Richards. "What is he going to do? Is he going to out-punch me? No, he's not. Is he going to out-fight me? No, he can't. Is he going to out-box me? I've never been out-boxed in my life. All three ways of winning a fight, he can't do." Richards is keen to build on his victory and will soon discuss options for his next fight, including a possible Commonwealth title clash with Burton. "I think it made a statement to let the light-heavyweights know I'm around, and I'm someone to be recognised in the division," said Richards. "We are title chasing, so it just depends what the team thinks. "I think that's the most logical next step. The next one would be the Commonwealth title."